Summer in the city . . .
College friends Elizabeth, Zoe and Andrew had a band, grew up, settled in New York and now they were still living round the corner from one another (and in each other's pockets). One hot summer as their kids come of age, making those first hesitant steps into adulthood, it's the parents who find that the lives they've so carelessly stitched together begin to slowly unravel . 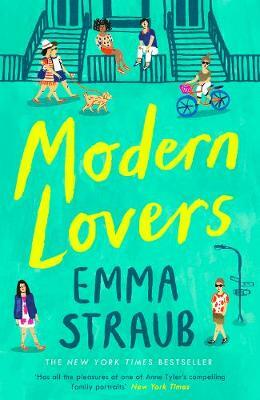 . .
Emma Straub is The New York Times-bestselling author of The Vacationers, Modern Lovers, Laura Lamont's Life in Pictures, and the short-story collection Other People We Married. Her fiction and non-fiction have been published in The New York Times, the Wall Street Journal, Vogue, Elle, and Conde Nast Traveller, and she is a contributing writer for Rookie. Straub's work has been published in fifteen countries.